While it is well known that many four-hand works have been written for piano, it is perhaps less commonly known that similarly styled pieces were composed for its predecessors, the clavichord, organ, and harpsichord. Ideally paired Belgian keyboardists with a host of awards to their credit, Marie-Anne Dachy and Julien Wolfs explore this rewarding repertoire here with performances of J.C. Bach's Sonata no. 6; Thomas Tomkins's A Fancy for two to play; W.A. 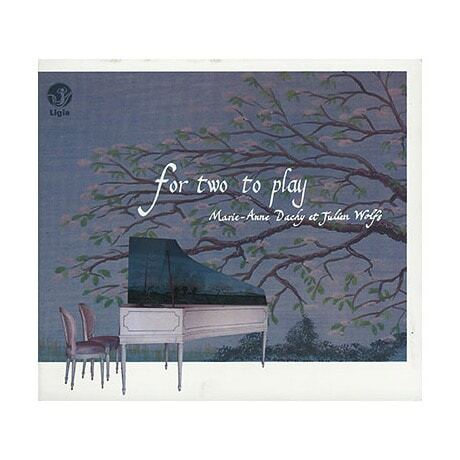 Mozart's Sonata, K. 19d, and Andante with variations, K. 504; and Joseph Haydn's Il Maestro e lo Scolare (Hob XVIIa:1), a good-natured but demanding workout for himself and a pupil.